Well that time of year is upon us again! We're gearing up for the festive period, getting our last minute shopping done, and trying to get a last minute swap for a new years party. It's a busy time of year in the ED though. Winter has arrived, so we've already seen more than our fair share of fractures from falls on the ice. The place has started to fill up with elderly patients with pneumonia, and mental health presentations are on the increase, as people feel the heightened pressures of loneliness, homelessness, and miss their lost loved ones around this time of year. But Christmas is also a time of celebration, and we at St Mungo's are here at to bring you a bit of festive cheer! So enjoy our xmas resources and have a wee eggnog on us! Possibly not the most common poisoning, but as we know in Emergency Medicine, anything is possible! The berries aren’t thought to be very toxic, but ingestion or injection of the extract can cause more serious effects. Activated charcoal may be given if a patient presents within an hour of ingesting the extract. Ingestion of the berries can cause mild gastrointestinal upset, which may be treated with milk. More serious effects include bradycardia, which you can treat with atropine. If the bradycardia is associated with hypotension, you can give dobutamine or isoprenaline. Or finally by pacing. 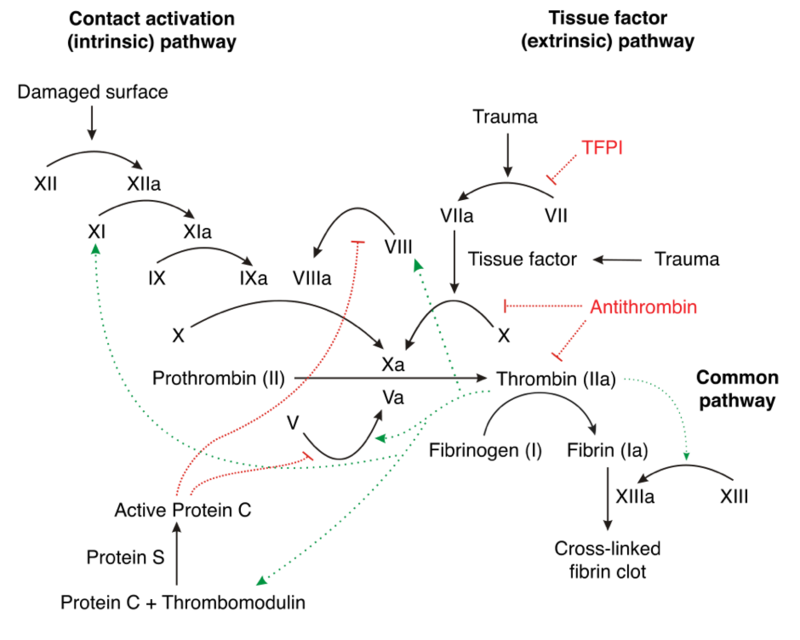 Either external or with a temporary pacing line. There is some great info on 'Life In The Fast Lane' on how to do external pacing. As always, with any emergency, start with your ABCDE assessment and don’t ever forget glucose!! For longer episodes, correct any acid-base disturbance and give benzodiazepines. Toxbase suggests midazolam, lorazepam or diazepam intravenously. If there is no response, the patient should be referred to Intensive Care. Barbituates may be used as a second line agent and AVOID PHENYTOIN. For any patients who are going home, advise them to return if they develop any more symptoms after discharge. Is Christmas disease named after the festive celebration? Christmas disease is a rare genetic disorder that is named after the first patient, Stephen Christmas, who was diagnosed with it in 1952. In addition, the first report of its identification was published in the Christmas edition of the British Medical Journal. It is also known as Haemophilia B.
Christmas disease is a coagulation disorder resulting from a mutation of the factor IX gene causing a deficiency in this factor. It leads to prolonged bleeding secondary to minor trauma or spontaneous bleeding. It is the second-most common form of haemophilia (Haemophilia A is the most common). The factor IX gene is located on the X chromosome. Christmas disease is an X-linked recessive trait, therefore females are carriers and males are affected. Blood tests that aid diagnosis include a coagulation screen and clotting factor assays. Treatment is by IV infusion of factor IX. Blood transfusions may also be required. Oesophageal 'Pig in a Blanket'? How do we manage food boluses and are they more common at this time of year? Yes, food boluses are more common at this time of year due to the amount of meat consumed. A retrospective study performed in USA from 2001-2012 showed that the incidence of oesophageal food bolus obstruction requiring endoscopic intervention increased 10 fold during the festive period. The most common impacted food item was turkey (50%), followed by chicken (29%) then beef (21%). Patients with a food bolus typically present with a sensation of something sticking in their throat or retrosternal region. There is often a clear history of eating food at the time of symptom onset. They may be unable to swallow their own saliva or drink oral fluids. Other potential symptoms are a hoarse voice and stridor if there is airway involvement. Glucagon and GTN are smooth muscle relaxants. Fizzy drinks increase the intra-oesophageal pressure by causing the release of carbon dioxide, which may force the food bolus into the stomach. Unfortunately, the medical management has limited evidence to support it. It is worthwhile trying prior to admission for endoscopy. Frostbite happens when there is prolonged exposure to freezing temperatures causing a freezing, cold thermal injury to tissues. It most commonly affects the extremities, usually in the winter months. Mountaineers and those who take part in winter sports. Alcohol or drug intoxication with exposure to cold weather. Conditions such as Raynauds and diabetes. Medication such as beta blockers. Those who work outdoors in low temperatures for long periods. Direct injury to cells occurs from cold and formation of ice crystals. The ice crystals also cause indirect cell damage by causing intracellular dehydration. Microvascular damage then occurs from vascular stasis, thrombus formation and embolic events. There are four degrees of injury, similar to that described by burns. However, often frostbite is described as superficial or deep. Haemorrhagic blisters occur in deep injuries. Clear blisters tend to occur in superficial injuries. Superficial injures have a better prognosis. Give oxygen if the patient is hypoxic. The patient may also be hypothermic and the temperature should be raised to 35ºC before rewarming the affected area. Document sensation, colour, location and any blistering. Haemorrhagic blisters are thought to indicate deeper tissue damage. Take bloods for FBC, UE, CRP, CK, coagulation and Group and Save. Assess hydration. If giving intravenous fluids then warm them. Place the affected limb in a whirlpool bath, with a temperature between 37 and 39ºC. This Detroit ED came up with an ingenious way to do a DIY ED whirlpool waterbath for rewarming affected limbs. Do not try and rewarm the limb by rubbing it, you can do more damage. The affected area should be left to air dry. You may have to rewarm the affected area for 30 minutes to an hour. Once rewarmed it is vitally important that the limb does not refreeze. Thawing has occurred when the area has returned colour and sensation and is pliable and soft. Patients should not weight bear on feet that have been recently thawed. Rewarming can be very painful, and patients may require opioid analgesia. Ibuprofen is recommended for analgesia and anti-inflammatory properties. There is some debate about whether aspirin is indicated, with more research required. However, the Wilderness Medical Society would recommend the use of ibuprofen firstline. Frostbite can be tetanus prone. So update tetanus. The current practice seems to be to debride or aspirate the clear blisters but to leave the haemorrhagic blisters. After this apply dry, bulky dressings. There is evidence that topical aloe vera can aid healing, and can be applied prior to the dressings. Wrap loosely to allow for tissue oedema occurring. Consider photographing the area, so you don’t have to disturb the area more than necessary. Some cases may be suitable for thrombolysis. Suitable cases would be those presenting within 24 hours with deep frostbite where there is likely to be a functional impairment. Thrombolysis is thought to address microvascular thrombosis. An assessment has to be made to consider the risk-benefit to the patient of thrombolysis and angiography would be required for evaluation of the vessels. The best evidence is for a vasodilator is iloprost. Some centres would consider giving iloprost when there is no response to fibrinolysis or no angiographic evidence of a perfusion defect. However more research is needed in this area. In more severe or complex cases, dead tissue may require debridement. The treatment is usually delayed to allow for as much recovery as possible and full demarcation of the affected area. Further imaging may be required to support this decision. There are several case reports of successful treatment for deep frostbite and the use of hyperbaric oxygen. However, it is not routinely recommended due to a lack of evidence. The use of antibiotics is contentious with there being no evidence for their use. However, some centres will use antibiotics in patients who they consider to be high risk. This may include open or dirty wounds and those who are at higher risk of infection such as immunocompromise for whatever reason. Also they should be given if there is evidence of infection or cellulitis. Mayo foundation for Medical Education and Research. https://www.mayoclinic.org/img-20114289. McLeron K, ed. State of Alaska Cold Injury Guidelines. 7th ed. Juneau, AK: Department of Health and Social Services Division of Public Health Section of Community Health and EMS; 2003. Puzzled by Santa's Rosey Cheeks? We have a vision of Santa Claus- all rosey and shiney cheeked, but have you ever thought about why? Perhaps it's from flying around in the cold and snowy weather all night on his sleigh? Well I'm wondering whether he might have Roseacea! It mostly affects caucasian females aged 30-50, around 1-10% of the population. Most go undiagnosed as they only cause mild redness. You may find someone in the ED asking you for a diagnosis though. Diagnosis is usually based on a trial of treatments, there is no definitive test. Treatments include avoidance of triggers, plus medications such as invermectin, or azelaic acid cream (who has that in their ED? ), oral doxycyline, or laser treatment. 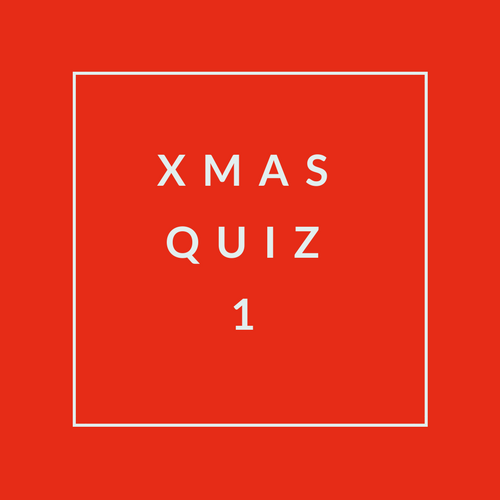 A wee festive quiz with answers and discussion. Please feel free to use this in your department, maybe put it on the wall next to the ABG machine, so you can learn while your are running your bloods! Merry Christmas Everyone!